Who wants fleas and ticks in their life? Our dogs and cats are family and we want to provide them with the best possible care. Unfortunately, no matter the environment, our furry family members can be exposed to fleas and ticks. These pests can cause serious health issues for our pets and families, including the spread of Lyme disease. That's why more than 80% of veterinarians recommend monthly protection against fleas and ticks1. 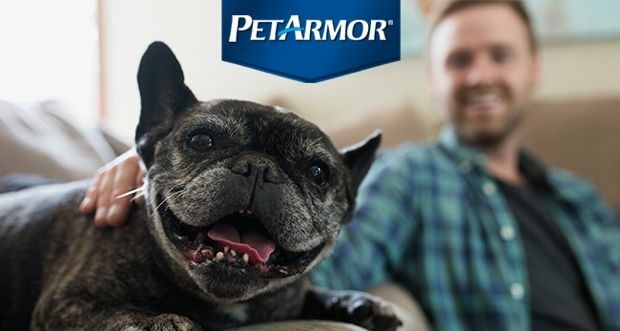 Whether you're looking to protect your pet and home, or dealing with a flea and tick problem, PetArmor can help. Follow these three easy steps to prevent fleas and ticks from ever biting you, your family or your pets again. Treat your pet: Treat once a month for fleas and ticks with an easy and effective, vet-quality preventative like PetArmor Plus. It kills before fleas and ticks have a chance to bite and helps to detach ticks that are on your dog or cat. Treat the home: To kill the adult and pre-adult fleas hiding in pet bedding and carpets, treat the areas your pets love to spend time on with PetArmor Home products. For a severe infestation, you may need to up the ante and treat your whole home. Treat the yard: Protect against fleas, ticks and other insects in your yard by using a yard or premise spray. Using these treatments can further protect against mosquitoes, which can transmit deadly heartworm disease to your dog or cat. As these steps suggest, when you see fleas in your home most aren't on your dog or cat — they live in carpets, your pet's bedding and are waiting in the yard for a ride inside. This means that if you're only treating your pet, your family may not be fully protected. Who wants fleas and ticks in the first place? Prevention is the best medicine. 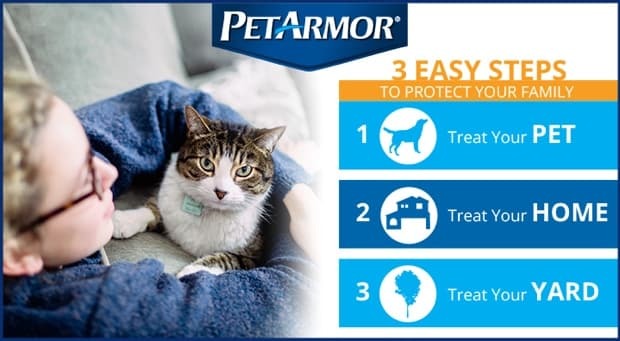 PetArmor Plus takes flea and tick protection to another level. Whether your family lives and plays in a heavily infested flea and tick area or spends their time lounging on the couch, prevention is the key. That's why your furry family members need PetArmor Plus. Vet-quality flea and tick protection you can use at home. 1 GFK 2016 Vet Recommended Flea and Tick Products April 2016.